Product #10 | SKU 1030-025-170 | 0.0 (no ratings yet) Thanks for your rating! Watertight, Crushproof and has a Clear Automatic Pressure Purge Valve. 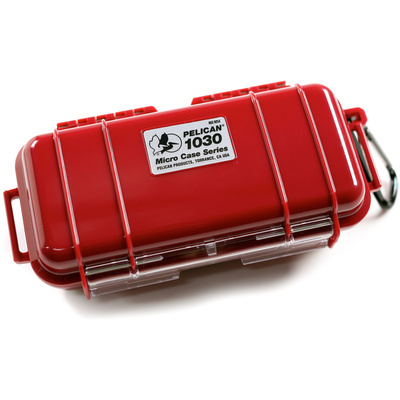 The Pelican 1030 Micro Case (Solid Colour with Black Lining) is made to protect small electronics and valuables. It is watertight, crushproof and has a clear automatic pressure purge valve. Colours are solid and have inner lining. NOTE: May vary from images. Do not have clear lids.